Snack foods such as chips or crackers are expensive and can take a big bite out of your food budget. Especially frustrating is spending good money on a box of crackers or a bag of chips, only to discover that the crispy treats are stale after you've eaten only a few of them. Don't throw those stale chips or crackers away. Instead, rejuvenate them in an oven or toaster oven or re-crisp them in your microwave. Preheat the oven to 400 degrees Fahrenheit, then spread the crackers or chips in a single layer on a cookie sheet or baking pan. Alternatively, place them on the tray of a toaster oven. 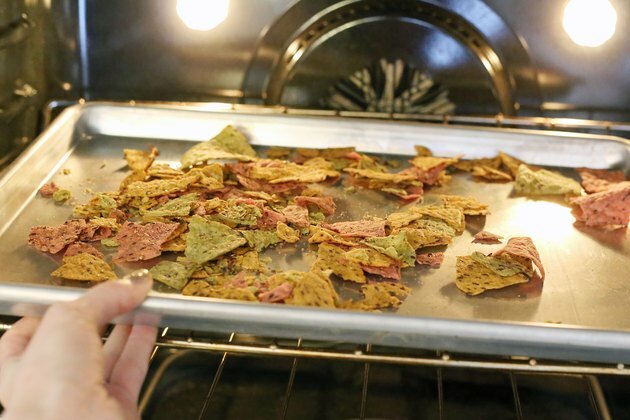 Bake the stale chips or crackers in the oven or toaster oven for three to five minutes. 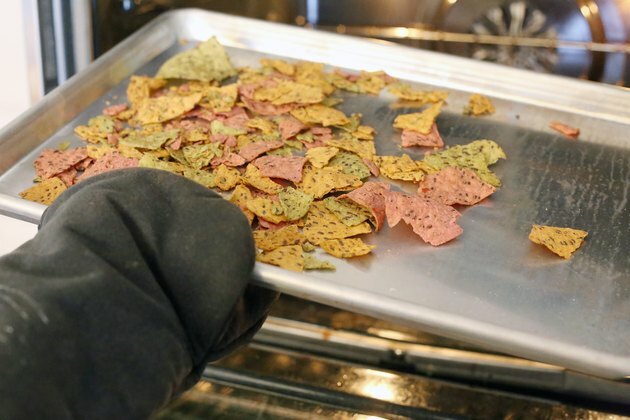 Remove the chips or crackers from the oven when they begin to turn golden brown. 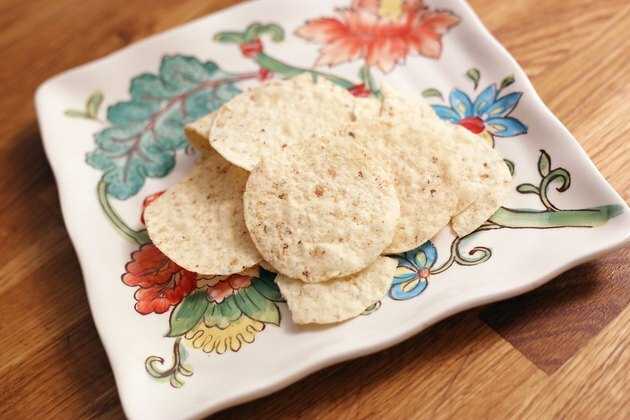 Place the stale chips or crackers on a microwave-safe plate. 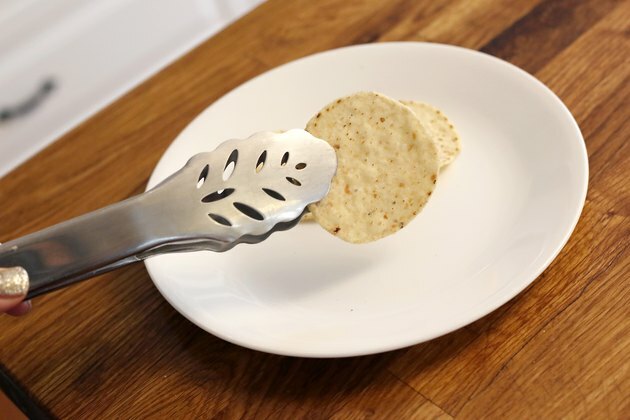 Re-crisping chips in the microwave is especially handy if you only have a few stale chips or crackers. 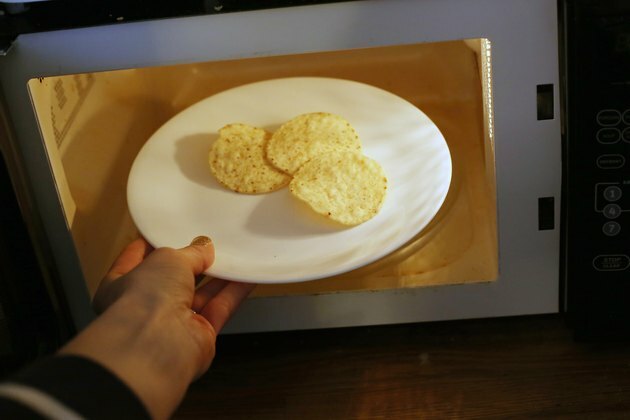 Microwave the chips or crackers on full power for about 10 seconds. If they aren't crisp, microwave them for an additional four to five seconds. Handle the chips or crackers carefully as they will be extremely hot. 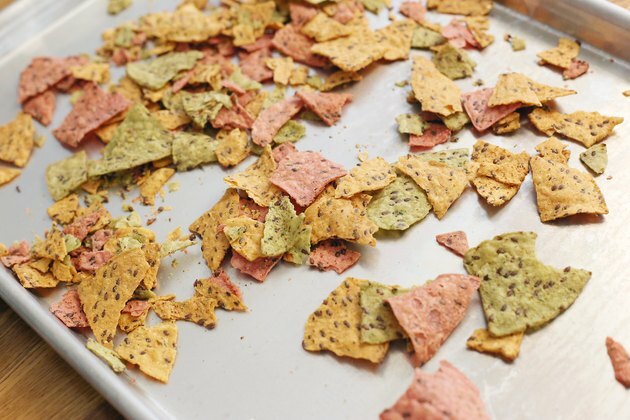 Don't throw away those small, stale pieces at the bottom of a cracker box or chip bag. Instead, place them in a plastic bag and crush them with a rolling pin. Sprinkle the crushed crackers or chips on top of a casserole or baked dish. Other crunchy foods such as croutons, pretzels, tortilla chips or breakfast cereal make good casserole toppers as well. Keep potato chips or tortilla chips fresh by closing the top of the bag with a plastic clip or a clothespin. 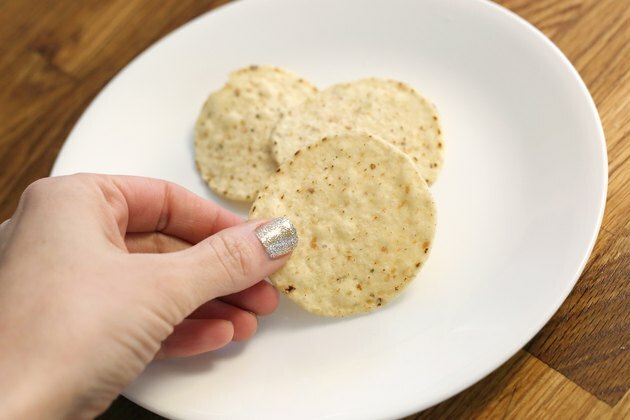 Discard crackers or chips that have a bad odor or an "off" taste. Some crackers are too old to be saved.